Are you a Spirit-baptized believer? grew up in a Pentecostal church. My father and mother were Spirit-filled ministers before I was born. My ministry and the churches where I have ministered have consistently given honor to the Holy Spirit and recognized Him as a person. He is not just a gift, a manifestation, or a force. The Holy Spirit is God, a person of the Holy Trinity. I count myself blessed to have been exposed to such a theological climate. I have had the privilege of sitting under and ministering to people who embrace the power of the Spirit. 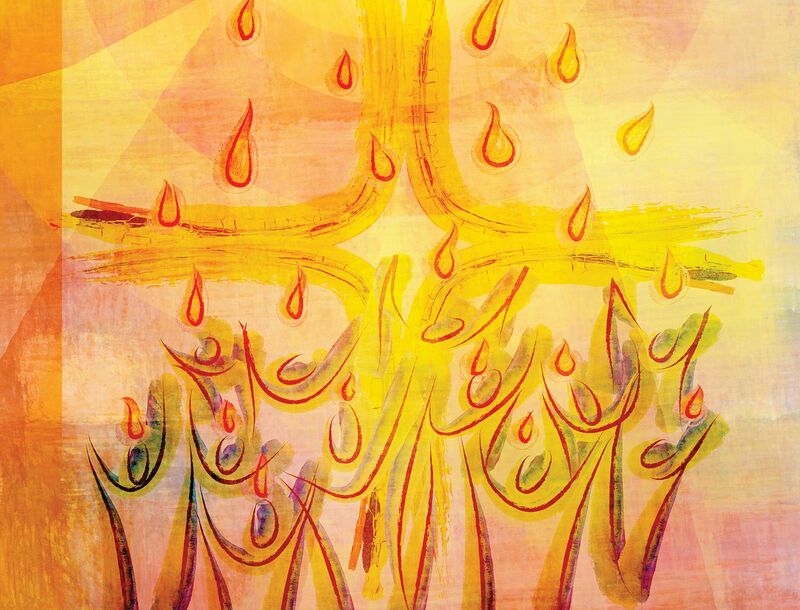 I believe we have seen the “former rain.” Now we are seeing the “latter rain,” the final great outpouring of the Holy Spirit (Hosea 6: 3; Joel 2:23). This divine visitation encompasses people of all denominations and cultures, and is preparing the body of Christ for the coming of the Lord. Seek the Spirit with a burning desire to know God more intimately. There should be such an insatiable desire on the part of the Christian to receive this gift that he or she will willingly meet whatever conditions God requires to receive this blessing. It is not the length of time one seeks that is important; rather, it is the intensity with which one seeks. Ask God to baptize you in the Spirit. Jesus said, “If ye then, being evil, know how to give good gifts unto your children: how much more shall your heavenly Father give the Holy Spirit to them that ask him?” (Luke 11:13). Ask in faith. Jesus said, “What things soever ye desire, when ye pray, believe that ye receive them, and ye shall have them” (Mark 11:24). As you seek the Holy Spirit, believe that is God’s will for you to receive this gift and that He will baptize you. Yield to the Holy Spirit and be filled. Yield your bodily members—your hands, feet, head, and tongue—to Him. The word baptism implies submersion. When you are baptized in the Spirit, you are submerged in the Spirit. Every part of you—mind, soul, and body—is inundated by the Holy Spirit. Satan will use every imaginable device to keep you from receiving the Baptism. If he cannot convince you that the blessing is unnecessary, he will endeavor to prevent your yielding to the moving of the Spirit by telling you how foolish you will look or that you have gone just too far. But he was a liar from the beginning; therefore, “resist the devil, and he will flee from you” (James 4:7). When people of faith act in obedience to His Word, marvelous happenings occur through supernatural means. The highest quest of the human soul is to seek after God. When you are baptized in the Spirit, you will be “endued with power from on high” (Luke 24:49) and your relationship with God will be more personal, sweeter, and full of glory. Practice praise and be filled with the Spirit. There is nothing quite so effective in cleaning the lines of communication between the seeker and the throne of God as expressing thanks to Him. If your heart is clean and your soul thirsts for the blessings of God, you will not have to wait long before the Holy Spirit will begin to move upon you. Have Spirit-anointed saints lay hands on you in prayer. Peter and John laid hands on the believing Samaritans and they were filled with the Holy Spirit (Acts 8:17). Ananias put his hands on Paul that he might receive his sight and be filled with the Spirit (9:17). When Paul laid his hands on believers in Ephesus, “the Holy Spirit came upon them, and they spoke with tongues and prophesied” (19:6 NKJV). It is not the act of laying on of hands itself that fills the believer with the Holy Spirit; that is within the province of God. But when people of faith act in obedience to His Word, marvelous happenings occur through supernatural means. The Holy Spirit becomes our testifier as He is allowed to speak through us. He becomes our edifier as we allow Him to move freely in us. He becomes our intercessor and intercedes according to the will of God. The Holy Spirit has come to abide in us. He can seal our destiny with God. He deserves the best we have to offer. The late T. L. Lowery was an internationally known evangelist, pastor, and author whose ministry spanned 70 years. Learn more at tllowery.org.